CHOOSE FROM 100'S OF READY MADE FRAMES BRING IN YOUR ART, PHOTO, OR PRINT AND YOUR ORDER WILL BE READY BY END OF THE DAY! We are a Custom Framing Service, with extremely competitive prices. Thanks for visiting our website, my name is Rene' Delgado and I have over 15 years in the Custom Framing and Art business. Through the years have framed thousands of pieces of art and memorabilia for artist, galleries and museums. Renewal is super nice and very passionate about frames. Alicia and I were surprised as he dashed around trying swatches and combinations. It was actually a lot of fun. 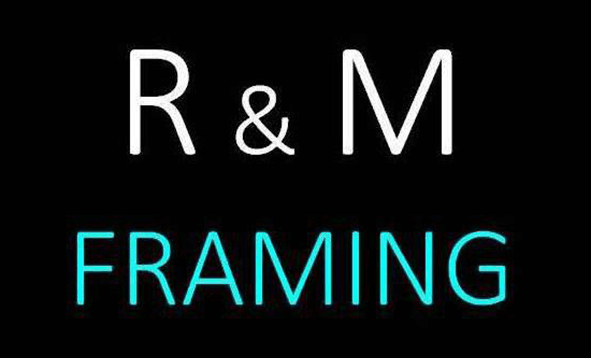 We had a wonderful experience here at R&M Framing. We had a lithograph framed recently and Rene took such care in picking out the best matting and frame for the job. He took his time to ensure the numbering from this limited edition print would show, even though they were in the bottom right corner of the print. It came out looking beautiful Thank you Rene for doing such a beautiful job on our custom framing project, pictures to follow. Shop owner, Rene Delgado is awesome, encouraging and thoughtful. I felt welcomed in his shop, and he took a significant amount of time helping me to find the frames which would compliment my pictures best. He never showed signs of impatience or disregard for my personal vision. The end result is my ownership of 2 custom-made, real wood frames which look as if I purchased them from an "old-world" artisan's shop on a cobblestone street in Tuscany, Italy! (Actually I did, sans the European locale. )Indeed, visit R&M Framing and transfer your ornate experience onto your walls at home.The cost for both frames, which I was allowed to pay on a 30 day layaway, was $180. I will be a return customer and refer family and friends. What a great little spot! I was down the street and needed something framed and had no interest in finding a large box store to do the job. I yelped for a bit and found this place, which was only a couple blocks away at the time. They were also open on a Saturday which was a bonus. I found a simple black frame for a dog portrait for a friend and was out of there within 15 minutes without having spent an arm and a leg!